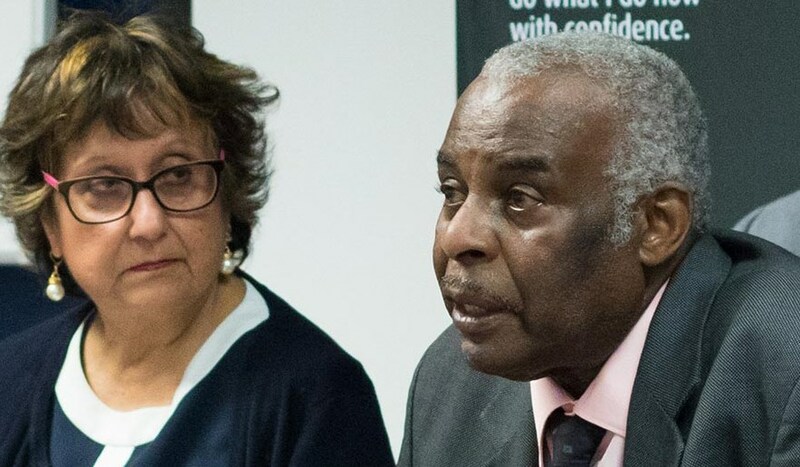 At the first in Middlesex University’s Race Religion & Beliefs Forum (MURRB) EDUBATE series of thought-proving panel discussions, Neville Lawrence was joined by other distinguished guests to discuss whether institutional racism has been addressed 25 years after his son Stephen’s brutal murder. The panel included Detective Sergeant Janet Hills, Chair of the Metropolitan Black Police Association and Dr Angela Herbert MBE who leads a consultancy to prevent social, education and economical exclusion. Professor of Journalism Kurt Barling and Dean of the Business School and School of Law Professor Joshua Castellino were the Middlesex speakers on the panel, and the event was chaired by Middlesex Professor Yasmin Alibhai-Brown and Diversity Lead and MURRB Forum Chair Dr Doirean Wilson. Referring to the Macpherson Report, which highlighted the issue of police institutional racism, he added that it had 70 recommendations but it was questionable how many of those had been implemented and the only way forward was to call for a review to determine what, if anything, had been achieved and what more needed to be done. Ultimately, Mr Lawrence said, talking was not enough and action on the Macpherson recommendations was needed. “We need to make these youngsters feel wanted” he said. Janet Hills explained that while the Metropolitan Police had made strides forward in recruiting more black officers, there was still far more that needed to be done, not only in recruiting but also in retention and training to ensure there were leadership role models for young black people. Arguing that gender also had to be brought into the picture, she pointed out that currently there are no black women above the rank of superintendent in the Metropolitan Police. At the end of the debate, Neville Lawrence poignantly repeated that he feared for the younger generation: “The police can’t do it by themselves. We have to be part of the solution. I have grandchildren and want them to be safe on the streets and have a future”.